Embark on a visual journey to the Seven Kingdoms. ‘Game of Thrones’ returns to HBO on April 15th for its highly anticipated final season. The landmark show is considered one of the greatest television productions of all time and is known for filming in historic locations throughout Europe and Asia. Drone pilots and fans of the show have taken to the sky to document the filming locations. 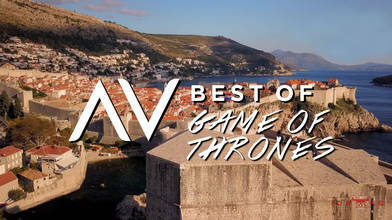 Prepare for the show’s epic return or plan a thrones themed vacation by watching these aerial films. Want to see more game of thrones filming locations? CLICK HERE to view the entire collection.